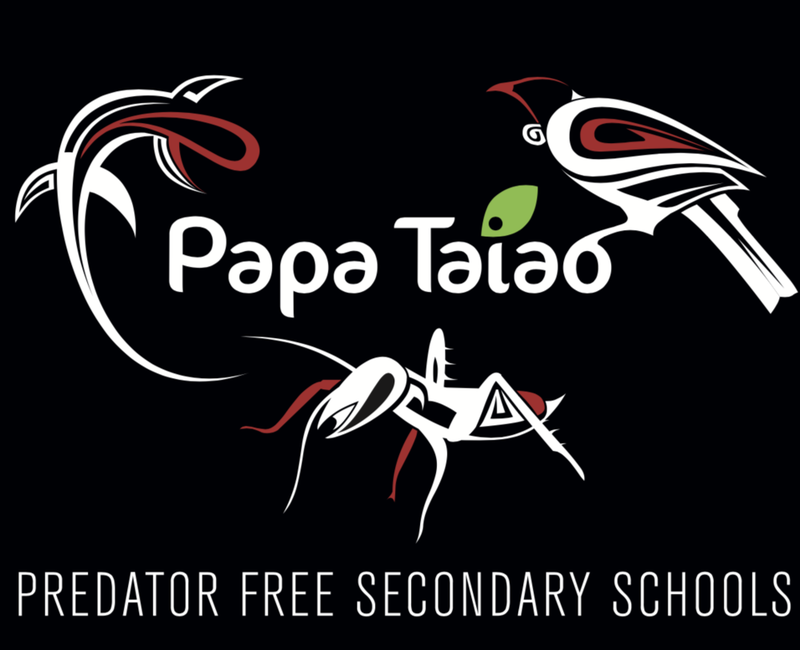 Predator Free 2050 has inspired Papa Taiao Predator Free Secondary. It is a new initiative to engage young people with the national aim of becoming predator free. The programme enables students to lead local initiatives that contribute to a predator free New Zealand through innovation and enterprise. The programme is cross curricular and our roaming teachers can support integration in Education for Sustainability, Science, Art, Social Studies, Business Studies, Statistics, Outdoor Education, and Design and Technology. Our teachers can facilitate the establishment of a leadership group within your school or they can provide regular visits to support a class working on predator control and biodiversity enrichment. Papa Taiao can deliver and assess L2 and L3 NCEA qualifications in Science and Sustainability. Rangatahi monitor native and invasive species presence at their school. They must also engage with a local community group. To gain the highest award students must be active in their community by demonstrating leadership in conservation advocacy. In Northland Predator Free Schools will aim to restore the ancient kauri forests. The project will span across the far north in approximately 12 schools. To learn more or get involved email Clea Gardiner (clea@papataiaoearthcare.nz).